I was on my daily #BMORE walk when I came across this cool looking theater sign with an even cooler sounding name. Apparently it was a former vaudeville theater built in the early 1900’s. 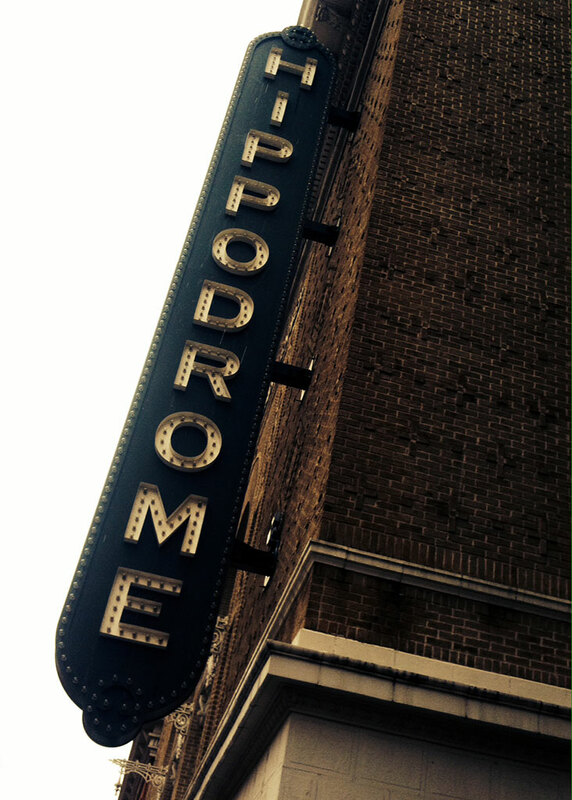 Fun fact: Frank Sinatra first performed with the Tommy Dorsey Orchestra right here at the Hippodrome. I had Public Enemy’s “Welcome to the Terrordome” stuck in my head for the rest of the day.